The analysis and treatment of the body's musculo-skeletal system to relieve underlying causes of pain and dysfunction. 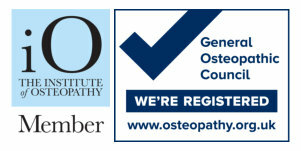 Osteopathy is a system of diagnosis and treatment that lays its main emphasis on the structural integrity of the body. It is distinctive in that it recognises that much of the pain and disability we suffer stems from abnormalities in the function of the body structure as well as damage caused to it by disease. Osteopathy uses many of the diagnostic procedures used in conventional medical assessment and diagnosis. Its main strength, however, lies in the unique assessment of mechanical, functional and postural factors and the manual methods of treatment applied to the specific needs of the patient.